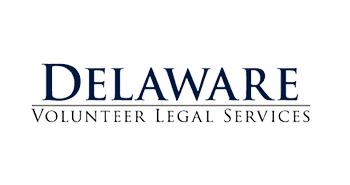 Who is Delaware Legal Help Link for? How do I find legal assistance? If you are looking for free or low-cost legal services, start by clicking "Get Started" on the homepage. This will bring you to a guided online interview where you can answer a few questions about your legal problem to find the best help for your situation. You can also browse legal aid organizations in an alphabetical directory. Searching the directory will give you a listing of organizations in your area, how to contact them and a description of the services they provide. Pro Se Clinics - where you are shown how you can "help yourself" with a particular legal problem. Self-Help - educational materials such as factsheets and brochures. Some organizations cannot serve people with incomes higher than their guidelines. WashingtonLawHelp.org does not guarantee assistance from any organization even if you meet its income guidelines. Many legal aid organizations use percentages of the Federal Poverty Guidelines to decide who can receive help. Assets also affect eligibility for services and are determined on a case by case basis by each legal services program. Some organizations may make exceptions for seniors or people experiencing domestic violence. Also, some organizations take into account expenses such as childcare, medical bills and debts.